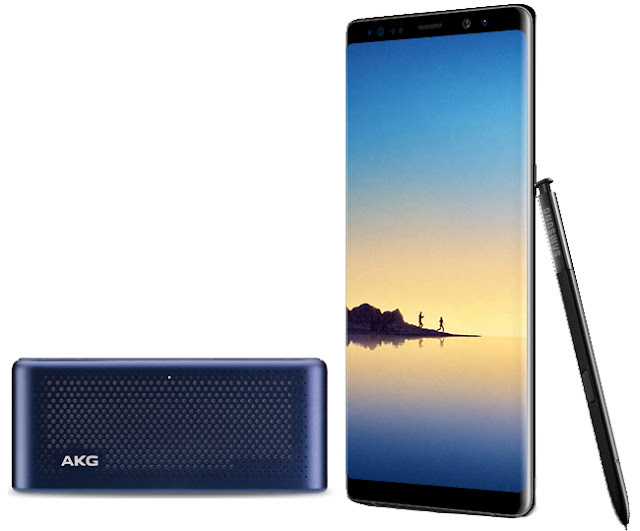 Be quick enough to place your pre-order, as first buyers get to pair their Galaxy Note8 with an AKG Speaker for free! Valued at PHP7,990, the AKG S30 is an all-in- one travel speaker designed exclusively for Samsung Galaxy models. With Bluetooth streaming, a dual-microphone conferencing system, power- sharing capability, the AKG S30 perfectly complements the new Galaxy Note8. It’s compact and lightweight, making it easy for you to bring it with your Galaxy Note8 anywhere you go. converting units and foreign currencies have been made easier with the S Pen by just hovering over a word or entire sentences. professional-looking photos from your smartphone by adjusting the background blur not just while you take the photo, but post photo as well. The Galaxy Note 8 is also equipped with 2x optical zoom for clearer photos even when zoomed in. you to easily work with two apps at the same time. This feature, called App Pair, lets you customize a pair of apps on the Edge Panel and launch them simultaneously. 4. Opening New Worlds. The Galaxy Note8 also carries Bixby, your very own enhanced personal assistant that can help you be more productive and achieve more tasks easily. Bixby understands the way you speak, making it easy for you to create a custom voice command through Quick Commands. For example, you can simply say, “Good night.” for your phone to switch to silent mode and set an alarm. Are you ready to buy a new car?